I can’t believe it’s been a year since the publication of The Indigo Journals. To top it off, it recently placed Finalist in the 2016 Readers’ Favorite Book Awards! I was pleasantly surprised, since this is more of a ‘niche book,’ catering to a certain portion of the population with metaphysical or spiritual inclinations, but the placement confirmed that more and more souls meant to heal the wounded Feminine are awakening. I want to celebrate by reaching more people, and I hope you’ll celebrate with me as well. In wonderful synchronicity, this year October 1st-10th marks what’s known in the Hindu calendar as Maha Navaratri, the 9 nights (and 10 days) of the Divine Mother—or the 9 manifestations of Goddess Durga, including strength, awareness, creative power, abundance, and purity of mind. This is one of the most important periods of the year, because it’s a highly beneficial time to reconnect with all aspects of the Divine within through spiritual practices, chanting, worship, fasting, and anything that turns you inward, toward your true divine nature. 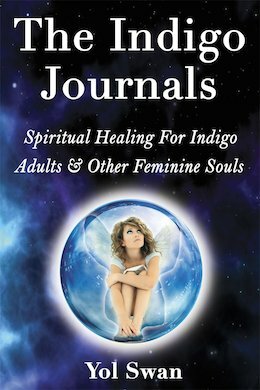 Get a FREE Kindle Version of The Indigo Journals on October 2nd! Now, if you’ve already read the book, you know that this is not just a personal accomplishment, but my way to honor the Divine Feminine—of which I consider myself a vehicle—by bringing more awareness and balance on the planet through spiritual healing and soul integration. The revolution of the spirit and planetary transformation we’re going through requires a great collective effort, so if you enjoyed the book and want to help others learn about it, please write a review on Amazon (if you haven’t already) and spread the word so many more feminine soul types may recognize themselves and join in with spiritual tools and clarity of purpose. And if you haven’t read the book yet, this is your chance! Start a deeper healing process, to embrace your divine differences and feminine spiritual qualities (regardless of your gender), and develop emotional freedom toward a 5th-dimensional perception of life. Gain a clearer understanding of yourself and others, break free from emotional codependency, and take charge of your experience here to make a unique contribution to this lovely yet also wounded planet. This free offer is good only October 2nd, so spread the word right away with anyone you think may benefit from spiritual healing, and put a reminder on your calendar or a sticky note somewhere so you won’t miss it! 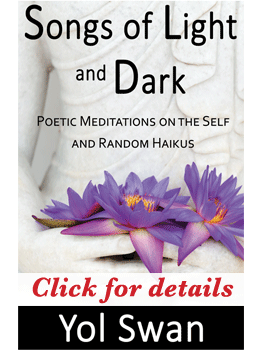 Click to get your copy of The Indigo Journals on Amazon. Please share this on your favorite social media sites; it’s a simple yet loving act to honor the Divine Mother during Navaratri. May She grace you with love, healing, abundance, and purity of mind! ← What’s Your Emotional Currency Of Choice?